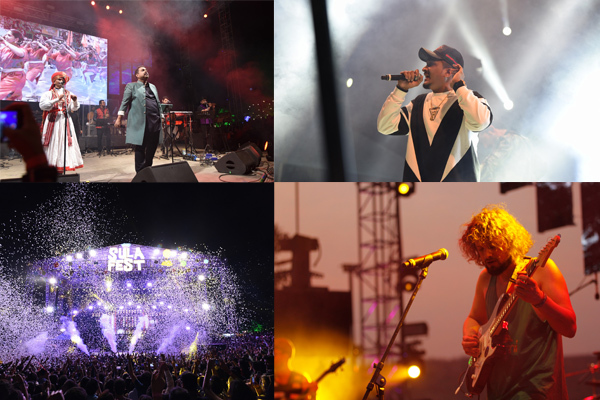 MUMBAI: Sula Fest, the country’s most gorgeously-situated, gourmet world music festival, went several notches higher in its twelfth edition this year. The two-day extravaganza saw thousands of individuals getting happy high on choicest of wine and cheeses and swaying to some scintillating, diverse music with internationally-celebrated artists, who performed some eclectic numbers. JUNGLE, an English modern soul musical collective based in London, made their India debut and rocked the stage on 2 February 2019 with back-to-back stellar performances including songs from their recently launched album – For Ever. On 3 February 2019, Shankar Mahadevan, who has been recently honoured with the Padma Shri award, set the stage on fire with a touch of folk, fusion and Bollywood with his chart-topping and award-winning hits, with his specially curated concept - My Country My Music. This concept showcased the sheer variety that Indian music offers including Bollywood chartbusters. The response of the audience was nothing short of phenomenal. Also, mesmerizing the crowds was our very own original Gully Boy – DIVINE performed some of his most popular raps like Jungli Sher and Farak along with new singles from his Gully Boy gang’s album. The main stage also witnessed some exhilarating performances by Lucille Crew (an international groove collective from Israel fusing elements of Hip-hop, Funk and Soul), Hallouminati (scurrying around the UK's party scene since 2010), Forelock and Arawak, Spencer Maybe and Mother’s Cake to name a few. Other exceptional Indian artists like – Paraphoniks (Live electronica), MALFNKTION (Hip-hop), and Nothing Anonymous (Live electronica) brought life to the fest with their stupendous acts. MUMBAI: If you are a big old school hip hop fan then the song, Sher Aaya Sher from the recent hit movie, Gully Boy is going to enthrall you. The song gives a sense of power and motivation, and we can truly get that with the songs, the movie has boasted of.